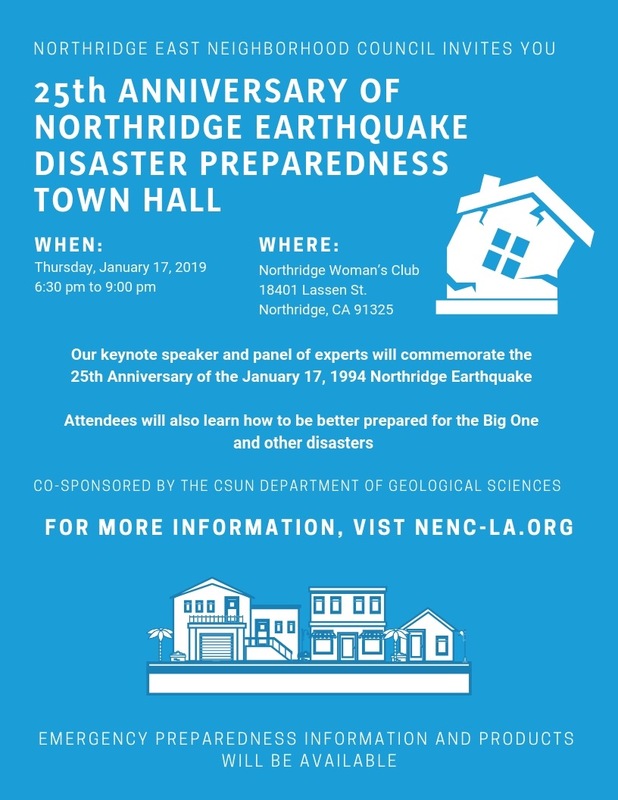 While commemorating the 25th Anniversary of the January 17, 1994 Earthquake, our keynote speaker and panel of experts will educate and motivate attendees to be better prepared for the Big One and other disasters. Sign-in, information tables and refreshments starting at 6:30 pm, with program at 7:00 pm. Hosted by Northridge East Neighborhood Council.